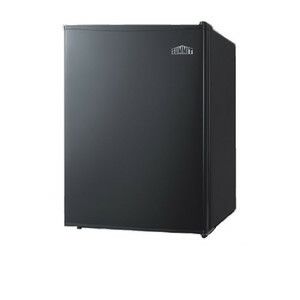 Everybody has a need for a normal refrigerator, and while they come in a great variety of sizes and colors and features, that need is basically the same. You need to keep food cold and most likely it stays in the refrigerator-sized hole in your kitchen, or perhaps your garage. Fairly simple and straightforward. 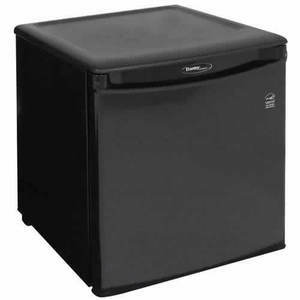 If you’re looking for a mini fridge however, you are looking at a more specialized need or desire to keep things cold, well away from your normal refrigeration needs. This is going to require a little more forethought as to the purpose of your compact fridge and what need you are trying to fill. Do you need a place for snack and lunch at your office, or maybe a handy beer and soda cooler for your home bar, even handy storage for medication that needs to be kept cold. Keep in mind where you’re planning on using your mini fridge and we’ll get in to what features are most suitable in just a second. 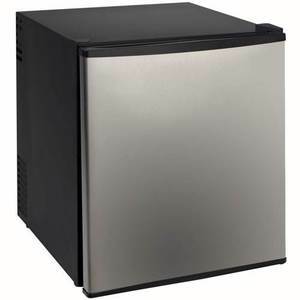 First of all, you can find some of the most popular mini fridges right here, according to the feedback we get from some of our other customers. These are just a guide for what has worked from previous customers and we regularly update this list according to their reviews. arrived intact with no damage, easy set up and freezer does exactly what I needed it for \. The only note of interest was the ice tray that comes with it is a one time use as it broke up with one use. I have since supplemented it it with a silicone tray. great product over all & fast shipping. Thanks! 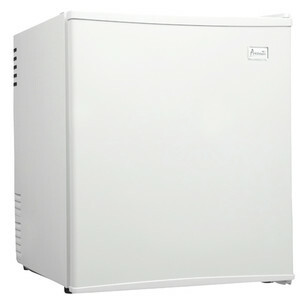 The best thing about this Avanti model is there is no freezer! Virtually no maintenance and no defrosting. Also very quiet. this is the second of this model i have purchased (first for home a few years ago; now for office). sale price and free shipping were added advantages. Perfect size for small office. Keeping water and other beverages cool. Water fountains in building are not too good. Wanted fridge only with auto-defrost. Hope for maintenance free. It's great, I can't believe how quiet it is We keep it in the bedroom for my insulin..
We have not used the frig yet. We will be using it in or motorhome on trips this summer. I did put a thermometer in it and the temp got down to 38 degrees. One suggestion is handles on the sides to pick up the unit would be nice. Purchased one for office and it is perfect. Does not waste space with freezer since all I use if for is bottled water, soft drinks, and occasional brown bagged items that require refrigeration. Several in office periodically use for their lunches. Have been very happy with it, Quiet and cold! This was purchased as a compact refrigerator for my office. I expect that it always will get light use. I've only had it a few weeks so this is not a long-term review. It works fine. Cools good. Quiet. No problems. Looks just like the pictures. Exactly what I expected. I chose this model because it had the freezer option, which I expect will get some use. Very pleasantly surprised by how well the product was packaged and how quickly it was delivered. The refrigerator is very nice, fits the spot just right, and keep everything cold. I give Living Direct a 5. This is my first purchase from them, but I will shop on their site in the future. Good service and good price! 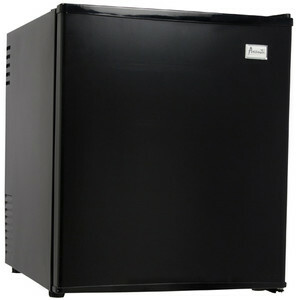 *Note: The above list of mini fridges is automatically updated as we receive more reviews and feedback from customers. To help ensure this list truly features the best mini fridges available, we would like to invite you to leave your honest feedback. 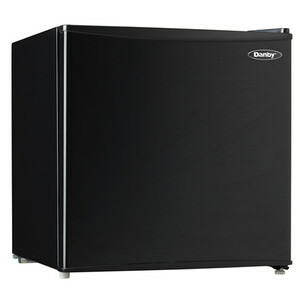 When it comes to buying a mini fridge, the long and short of it is that they all work basically the same way. So, sort through all the brands and features by thinking on how YOU will be using this fridge, and what that means is important and right for you. 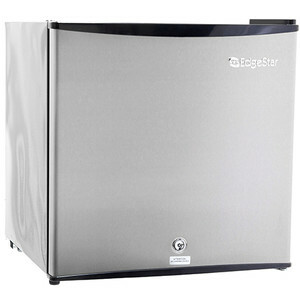 Here are some of the things you should keep in mind while looking for the best mini fridge for your specific needs. One of the most important things to consider for a compact fridge is space. What are its dimensions and will it fit in the space you want it to go in. By nature, they are all small and designed to fit in the most compact spaces, but if that is going to be on a countertop or underneath your office desk, the size is going to play a much larger role than if it’s simply placed out in your garage. Make sure to examine the exterior dimensions before you decide on a specific product. From there, you will easily be able to find a brand or model that works best for your needs. Second thing to consider, space-wise, is the interior of the refrigerator. Are you going to be storing large 2-liter bottles or cans? Would you prefer to have movable shelves, storage in the door or a freezer compartment? If so, these are all features that will affect the amount of space you have inside the fridge. 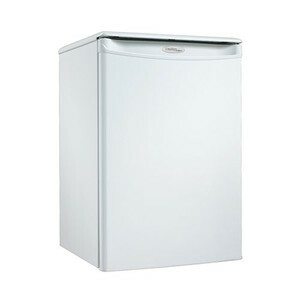 The interior design is one of the areas where you will find the most variety between different mini fridges. 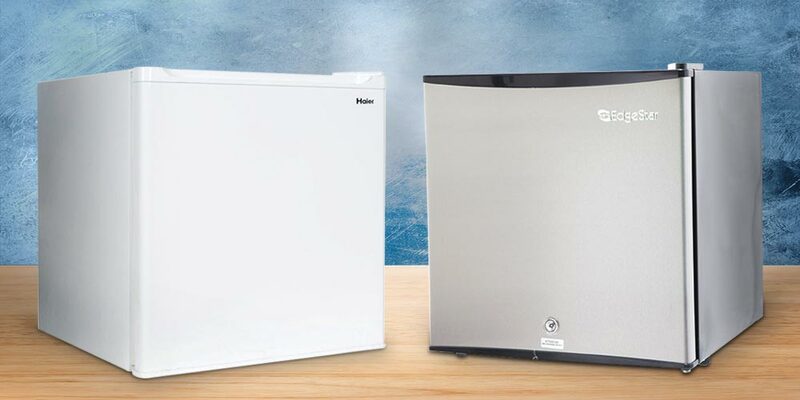 The presence of a freezer in a compact fridge is going to divide them into two sides and depends on if you think you’re going to end up using it a lot. Many models have them available and come in handy if you need things kept frozen or what some ice with your drinks but can be a big sacrifice of space. Not necessarily the norm, but some models include a lock, that could definitely come in handy if your fridge is going to be put to use at work. Almost all refrigerators will include a manual temperature adjust but safe to check anyway. This again might matter more if you just need things kept cool or preferred closer to freezing. In this day and age, it is becoming increasingly important, whether you do it for the environment or just to save a couple bucks, a high-efficiency is a definitely a plus. The noise factor is something most people don’t think about until it’s bothersome enough that you can’t help but think about it. If this addition is going to a garage or office break-room it probably won’t matter much but if it’s for a study or hidden away in your actual office it could be very disruptive. Many models now are practically noiseless which will come as a welcome relief. Are you making a statement with a stylish design or just a standard looking fridge? Are people going to see it enough for it to matter? Hopefully it won’t be needed, but very handy to have in case something happens. Some models feature a warranty for parts and labor, some for the system, and some for nothing at all. A compact fridge should be all about convenience and therefore preference plays a large role. The first thing to think about should be the location you’re going to be putting this fridge in and what you’re going to be using it for. That should be fairly easy as presumably you are considering a fridge because of a need you’ve found at home or work. Finding a fridge that fits is easy with all of the dimensions easily displayed. Also keep in mind the inside and what you plan on keeping in it as some are equipped with shelves in the doors and features like can dispensers. 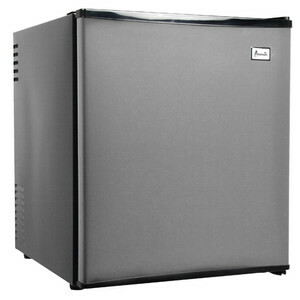 Other factors like whether it features a freezer, noise level, or a lock are some things that many people wouldn’t even think about before it’s been in use for a couple weeks. Then they realize their mistake when their loud appliance is disturbing their normally peaceful work environment. By considering all factors ahead of time will ensure a satisfied purchase for a long time to come.